What is CashCrate - a Legit Cash Opportunity or Scam? 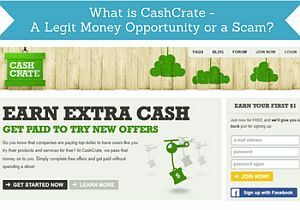 What is CashCrate – a Legit Cash Opportunity or Scam? CashCrate, is an online rewards portal, where you among other things can get paid to take surveys. But is CashCrate legit and a good way to make some extra cash, or is it just another internet scam? In this CashCrate review, I will give you a detailed overview of what CashCrate is about, what the site has to offer, and what your actual chances of making money on the site are. Let me reveal right away that it NOT on my list of the best survey sites. That does not necessarily mean it will not be a good option for you, so keep reading this review to find out the details and find out, if it is a good site for you to join or not. Important Update: CashCrate is closing! CashCrate has announced that it is closing the 1st April 2019. It, therefore, no longer accepts new members. If you are already a member, make sure to cash out before it closes – if not, your earnings will be lost. What is CashCrate and what opportunities does it offer? CashCrate has existed since 2006 and has over 2 million members worldwide, and has paid out over $4 million to its members. 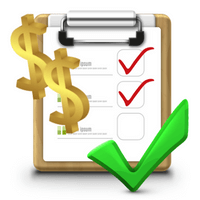 Paid surveys are a great way to make money on CashCrate, and there are usually several daily options for this. Exactly how many surveys that are available to you depends a lot on where in the world you live. In some countries you have to be a bit patient to qualify for surveys, and in others there are many daily opportunities. The surveys usually pay pretty well in relation to the time spent compared to other survey sites. You can earn cash by doing what is called offers. This is a way to really boost your earnings. Offers can for example be to sign up for a free trial for a certain website, that you register and play a few games on a certain website, download an app on your phone and similar offers. The offers can make you quite a lot of money, as some of them gives you a really good reward. For some of the offers, you will have to register at a certain website with a credit card. This will be marked with a red $ next to the offer, so you can easily see if you need a credit card or not. These offers can be worth using, if it is a service you are interested in anyway, as the reward for these offers are quite high. Often, the reward will also cover the initial investment. But if you do not want to use any offers where you need a credit card, you just avoid the ones with a red $ next to them. 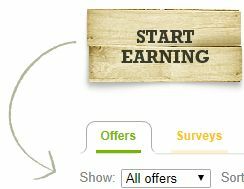 You find the offers by pressing the “offers” tab when you are logged in (see picture). You can also find a tab called “Videos & more” when you have logged in. As the name suggest, you can among other options find videos you can watch here and get paid for it. Personally, I have not found many videos to get paid for, but it might be different for you depending on the country you live in. But there are plenty of other options under this category as well. Many of the options here can be compared to the “offers” tab. So here you will also find websites you can register for and get paid for, and a lot of games you can either download and play or play online and get paid for that. But here, you will also be able to find other surveys, that are not available under the surveys tab. Under this category, you can see a little box with different “portals”. You can click the different ones, as they all have different offers. You can see how it looks like on the picture, but be aware it might look different at your profile, as the portals available can be different depending on the country you live in. 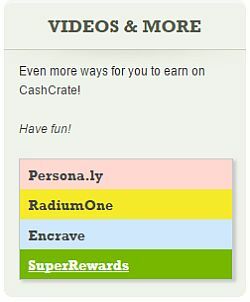 CashCrate also has something called “Bonus offers”. It is similar to normal offers, but just called something else. In general, offers, bonus offers and videos & more are not much different. It it just different names and different accesses to a number of different ways to earn cash. But even though they might seem similar, the offers are mostly different. So check them out as some of them might fit you better than the other. Through CashCrate, you can go to a number of online shops. If you buy something through the link on CashCrate’s website, you will get a bonus on your account. So if you need to do some online shopping anyways, it might be worth doing it this way, and then earn some cash back. Some of the games you can earn points by playing. 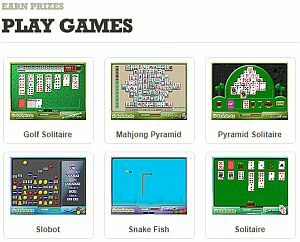 CashCrate offers a number of different games you can play on the platform. Most of them have daily tournaments where the top players earn rewards. If you like playing games, this can be a great way to earn some extra points. The points does not go into your CashCrate account as cash, but you can instead use them in the point shop. Here you can choose between a long list of vouchers to for example Amazon, Strabucks, Walmart, Itunes and much more. You can also use the points to CashCrate’s own lottery called “Crates”. Here you have to select a green crate, between a whole screen of them. Once you pick one, you will right away be told if you win or not. The prizes ranges from 1 cent to $1000, and each entry cost 5 points. CashCrate regularly runs contests, where you can win cash prizes. Sometimes it is a monthly contest, sometimes a weekly contest and other times something else. You can see the current contests when you are logged in. It can for example be a contest where the 20 people that makes the most money in a week will get an extra reward, a contest where the 20 people that has completed most surveys in a certain period gets extra rewards or something similar to this. Usually the prize will be $20 for first place, $15 for second etc. ending with $1 for number 20. You can also earn extra cash by referring others to CashCrate. If you invite somebody to join the site, you will receive a commission from CashCrate, when that person takes an offer or a survey. Your commission will be paid by CashCrate, and will not affect the amount your friend will earn. So inviting others to join the site, if you enjoy the site yourself, can be a nice way to make a bit extra. How much you will earn, depends how many people you have invited, and how much money you have made yourself on the site. But in general, it will be between 10-30%, and you will also gain other benefits and bonuses when you refer other people. When you receive a payment from CashCrate, you have the chance to upload a payment proof to the payment wall. You will make 20 points doing this. It can also be a great place to check out before you join to see that people are actually getting paid and to see how much people are making. It is free to sign up and participate on the site. When you take a survey, an offer or any of the other options on CashCrate, you will earn cash in dollars. You can request a payout once you have earned $20. The first time you request a payment, it has to be through check. But after the first time, you can get paid through PayPal, which I personally prefer, as it is much easier and faster. There is also a section on CashCrate, where you can take different offers and make points instead of cash. You find this section in the top menu of the screen under “Earn prizes”. These points can then be used to a number of different vouchers to for example Amazon, Itunes, Starbucks and many more. You can also use the points to different games, where you can win more points as mentioned above. Personally, I prefer to use the cash offers and surveys, but you might also like to try out the points and the games to win even more, and see if you like that option. If you like playing games online anyway, you might as well do it a place where you will earn a bit while doing it. You will get $1 bonus just for signing up, and if you fill out a bit of basic demographic information about yourself, you will get another 50 cent. 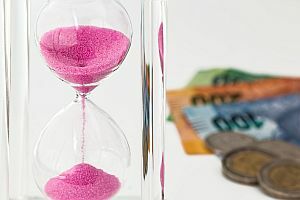 How much time does it take to make money on CashCrate? As you can see from above, there are many different options on CashCrate, which also means that you can end up spending a lot of time. Because there are so many things you can do on the platform, it is also fairly easy to make enough money on the platform to get a cashout, if you are willing to use the different options. The money you get for the surveys, offers etc. in relation to the time spent is similar to most other good survey sites. I can unfortunately not make it clearer than that as many factors affects how much that will actually be. These factors include where you live, your age, your interests and more. In general, CashCrate is one of the survey sites, where you have the chance to make some pretty nice money on the side. Especially if you dedicate some time every day to do some surveys or take offers. And it can boost your earnings quite a bit, if you do some of your shopping through the platform, if you know people you can invite to join the site as well, and if you are doing so well that you will be in the top 20 of the contests as this will give you an extra reward. In which countries is CashCrate available and who can participate? You can join CashCrate no matter the country you live in. But there can be a big difference in the opportunities available depending on the country you live in. There are by far the most opportunities for people living in the US, but there are also regular surveys and offers for people living in Canada, Australia, the UK, Germany and France. There are lesser in the rest of Northern and Southern Europe, but there still are opportunities here. At the moment CashCrate has very few surveys and offers available for people living in Asia and Africa. You have to be at least 13 years old to sign up. Open for all countries to join. Pretty good rewards in relation to the time spent. Can be a bit difficult to find your way around the site in the beginning. You cannot get paid through PayPal the first time you are getting paid. Overall, I think the good aspects and the potentials of CashCrate are ok compared to the downsides. The cons are minor things that is not really a problem once you start using CashCrate more often. So in conclusion, I can say that CashCrate is definitely legit, and you can make some extra cash on the site. But do be aware that how many opportunities and options you have depends on where you live in the world. If you click the button below, you will be taken to CashCrate’s website, where you can register. It only takes 1 minute or so. If you do decide to join the site, I have written a few extra advice below that can help you get the most out of the site. The first advice is not to let yourself be overwhelmed. There are many options on CashCrate, and at first sight it might be a bit confusing. But just click around a bit, and you will quickly figure out how to navigate on the site and how to use the different options. You will not qualify for all the surveys or offers that are available. So do not give up because you click some that you are not able to take. Try out some of the different options and be a bit patient when you start. It can be frustrating trying out several surveys or offers, and not qualifying, but after a short time, you will have figured out what kind of surveys or offers you usually qualify for, and then you just focus on doing these. On the right side of the screen, you can see this section when you are logged in. It can be a good idea to keep an eye on this section, as it is here that new contests, special offers etc. are announced. When you are logged in, be aware that there are several tabs with surveys. There are tabs called “Surveys”, “Top surveys”, and “Bonus surveys”. So if there are no surveys available for you in one of the categories, check out the others. You will not get emails when new surveys or offers are available, so log in regularly to check what is available. It can be a good idea to remember to check the conditions for the offers before taking them, so you know what the demands are. There can for example be a reward for playing a certain online game, but you might not get the reward until you have reached a certain level. If you forget to check the conditions, you will not know when you will get the reward. Be aware there is a menu all the way on top of the page – it can maybe be overlooked, but it has many interesting sub menus. It is for example here you find information about the contests and the point games. Hope this review have given you a good idea about what CashCrate is, and if the site is for you or not. If you have any further questions, comments or any experiences with CashCrate yourself, feel free to leave a comment below. CashCrate is a legit way to make some nice extra cash and allows people from all over the world to join. Not all countries will have many opportunities though. It gives decent rewards in relation to the time spent, has a nice joining bonus, good support, and many free contests and bonuses. Overall a survey site worth joining – especially if you live in the US, Canada, Australia, the UK, Germany or France. Hi, Mikael. I am familiar with Cash Crate myself having issued a review previously of the opportunities available at that site. I agree looking at the survey opportunities available at this site, that they are better than others that can be found on similar sites. A lot of times in other cases, the survey site does not present many opportunities for panelists to even participate in them. In fact these survey sites are only that – dealing with surveys and no other possible ventures – watching video, shopping online, playing games, etc. Regarding videos, I kind of remember at the time I was visiting this site, not very many were available. This was in the U.S. as well. Perhaps it just was a case of unfortunate timing on my part. As to not being able to receive your earned money after attaining $20 I don’t understand why a member cannot cash out using Paypal. It is only available beginning with the second request to have money. This doesn’t make sense and I’d love to hear Cash Crate’s reasoning. Just as long as an individual has a verified Paypal account it should be made available at any time, including the first instance involving requesting money based on earnings accumulated. As with all sites similar to Cash Crate, (Swag Bucks easily comes to mind) a member simply cannot have the attitude that they would get a lot of money, almost treating it like a full-time job with these types of ventures. One can only hope that the member panelist understands that notion. Thanks for your comment and for sharing your experiences Jeff. Interesting to hear that you did also not have access to a lot of videos in the US. I would however say that it is not a problem for me not having a lot of access to the videos. They usually pay very little, so on sites that offer it, I only watch them, if it is because I really want to watch the video anyway. If not, I focus on surveys or offers in stead. I completely agree that it would be great if PayPal was available already the first time you cash out. Hope that CashCrate will eventually make this possible. It is a great point that members have to be aware that it will not make a full-time income. I always make sure to emphasize on this when making reviews. Survey sites can give some great money on the side and be a great opportunity, but if members expect to make a living from it, they will be disappointed. Interesting review. I had never previously heard of cash crate and it seems legit and a fun way to make extra cash so I will definitely check it out. Do you know what sort of coverage you get in the UK and Europe on there? I am very keen to sign up but I note that you said some areas do not have many offers. How does the referral program work? Do I need a website or can I send the link to my friends? CashCrate gives very good opportunities in the UK. In Europe, it also gives good opportunities to Germany and France. There are less opportunities in the rest of Northern and Southern Europe, but you will still have some opportunities. You do not have to have a website to invite people to join CashCrate. You can also just send your link to friends and invite them to join. I can’t believe CashCrate is legit and pays. I would of never guessed with so much bad credit it gets but of course everything gets bad credit on companies people don’t get or on promises that the customer might make up in their head on how much they are going to make and don’t or how hard it is for so little pay. But one thing that is hard for one is super easy for another. Thanks for your comment Travis. CashCrate is definitely legit. How many opportunities it gives does however depend a lot on where in the world you live. And you are very right that often people get dissapointed when they find out they cannot make a living from surveys. That is why I always make sure to make it clear that paid surveys should be done to make a bit of money on the side and to share ones opinion. But if one is expecting to make a living from it, it will be a dissapointment. Thanks for sharing your thoughts Daniel. CashCrate is definitely not a scam and I think it is a great page. Just remember that it will not make you rich, but can give some nice extra cash. And be aware that how many opportunities there are depends a lot on the country you live in. So if you live in one of the countries I mention in the review above, it can be a great site to join, but if you live in other countries, it might not be the best site. This is a thorough review on CrashCrate and I will probably check this out. I haven’t had any luck on sites that offer to pay me for surveys and such. I usually don’t end up doing surveys because of the pre-surveys qualifications that count me out mostly. Most survey sites have a preliminary screening before the specific surveys. This is to make sure you will fit into the target group of the survey. For example if it is a survey about products or services for kids, it only makes sense for you participate, if you have kids. You can read more about this in an article I wrote about how to qualify for more surveys. However, at some survey sites it can seem like you disqualify for most surveys and that it is more or less impossible to qualify. One of the reasons can be that they do not have a lot of surveys in the country you live in. So it is important to find the right survey sites for your location. On CashCrate, you will also end up sometimes not qualifying. But if you give it a bit of time to test it, you will qucikly figure out what kinds of surveys you usually qualify for and which ones you never qualify for. Then you can just focus on trying out the ones you know that you have a good change to qualify for. For me, I have for example found out that where I live and with my profile, I never qualify for the surveys offered by YourSurveys through CashCrate – so I never waste my time trying those out anymore, and just try the ones I know where I can qualify. Good luck with it, and let me know, if you have any more questions. I’ve heard of CashCrate before but never really thought of trying it since I’ve done other surveys before and found them very time consuming and not pay well. You gave a lot of detail information about each option as to how they work within the site. That would help anyone to decide whether to join CashCrate or not. I like how you also posted tips in Advice and tips to CashCrate. Thanks for your comment and glad you found my article useful. Unfortunately, I sometimes hear that people have had bad experiences with survey sites in the past. But if you find the right sites for you and know how to avoid the scams, and do surveys with the right expectations, it can be a great way to make a bit extra, and I have benifited a lot from it. How much do you make a month from doing the surveys and offers on cash crate on a monthly basis? How many offers do does it take to make that? Is this something someone could make a living from or just a few extra dollars a month? I guess my main question is how much time will i need to invest in order to make say an extra 500$ per month? When doing surveys in general, it is important to be aware that it will not be something you can make a living from. CashCrate is one of the sites that has a big potential for some extra money compared to many other sites, but you should still not aim for it to make you a living. $500 would take quite some time. Exactly how much is very difficult to say. It depends a lot on which offers you take, how many surveys you take etc. Some of the offers can give you a really good bonus that can really boost you earnings, but in some countries there are not a lot of them available. But to be realistic, you should not aim for $500 right away on just one site. If that is you aim, you will very likely end up being dissapointed. Maybe it will be possible eventually, if you are able to invite a lot of other people to the site as well. I try to emphasize on this aspect in all my reviews, as of one the main reasons people sometimes talk negatively about survey sites is that they have unrealistic expectations (also due to what some survey sites promise). But if you are realistic and do it to make some extra pocket money, and at the same time see it as a way to be able to contribute with your opnion and have your opinion heard, it can be a great way to earn some extra money.